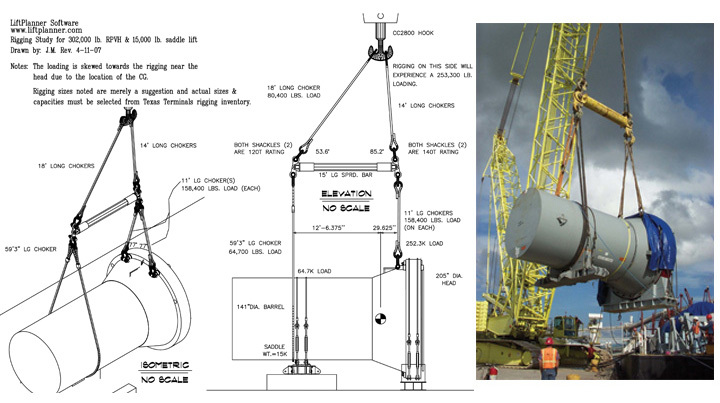 The two LiftPlanner rigging details accurately predict the photograph of the lift shown on the right. The Liebherr LTM1500-8.1 with Superlift is shown ready to lift this boat to an awaiting platform trailer. 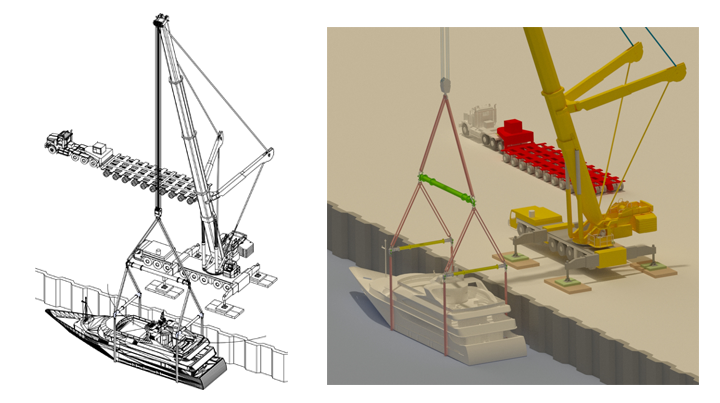 LiftPlanner Software can depict a lift with several choices of appearances - CAD style linework on the left and a realistic rendering on the right. A 34' long 400-250 Modulift spreader bar is on top with a pair of 22' long 110H Modulift spreader bars beneath. Endless Polyester slings and U-shaped baskets of the proper size are made with sling creator programs. Many Modulift spreaders are included in the LiftPlanner Rigging library with built-in data properties that can be extracted by the "Sum Deductions" program. 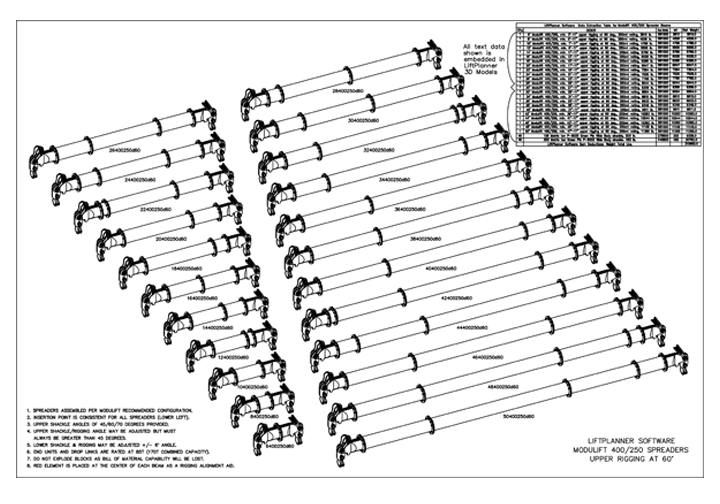 LiftPlanner Data Sheets are included for 400-250 Modulift spreader bars at 70 / 60 / 45 degree inclinations.